Council is committed to providing the best local road network possible, with minimal disruptions to drivers and residents. Roads may be closed, or have traffic diversions put in place, in order to upgrade roads, kerbs and footpaths. Dates are provisional and subject to change. Line marking on roads is generally scheduled for two weeks after a road has been resealed, so that the road surface has time to cure, before the lines are painted. Click on a heading below to see further detail on individual projects, including start and finish dates. Footpath works may impact traffic flows between 26 April 2019 and 3 May 2019. Enquiries to Wayne Meaker, Project Manager. Stormwater infrastructure works will commence 1 March 2019, with an estimated completion date of 10 May 2019. Fradd Road will be closed periodically to complete works, with detours in place. Works are scheduled from 7am to 3.30pm, Monday to Friday. Enquiries to Kym Ashby, Project Manager. Construction work for the Miravale Estate development will commence 26 February 2019, with an estimated completion date of 6 May 2019. Enquiries to the Department of Planning, Transport and Infrastructure on 1300 794 880. Due to essential stormwater drainage works for the Riverview development, there will be traffic restrictions in place that require single lane (contra flow) movements on Heaslip Road, between Woodbridge Drive and Gawler River - see Traffic Management Plans. The works will commence on 9 April 2019 with an expected completion date of 15 April 2019. Traffic-related enquiries should be directed to BMD Constructions - Site Engineer Edwin Saltiel on 0417 723 964. Footpath works may impact traffic flows between 17 April 2019 and 3 May 2019. Road surface and kerb renewal works will affect traffic flows between 4 March 2019 and 10 May 2019. Enquiries to Matt Pilcher, Project Manager. Road surface and kerb ramp works will affect traffic flows between 25 March 2019 and 10 May 2019. Footpath renewal works may affect driveway and residence access between 2 May 2019 and 31 May 2019. Road surface and kerb renewal works will affect traffic flows between 1 May 2019 and 31 May 2019. Footpath renewal works may affect driveway and residence access between 3 April 2019 and 26 April 2019. Road reconstruction works between Blandy Road and Andrews Road commenced on 4 May 2018 and is expected to be completed by 11 June 2019. Enquiries to Rocco Ventra, Project Manager. Drainage works between Carclew Road and Gawler River will commence on 15 April 2019 and are expected to be completed by 30 June 2019. Footpath renewal works may affect driveway and residence access between 26 March 2019 and 5 April 2019. Footpath renewal works may affect driveway and residence access between 29 March 2019 and 12 April 2019. Road surface and kerb renewal works will affect traffic flows between 28 February 2019 and 30 May 2019. Road surface and kerb renewal works will affect traffic flows between 28 February 2019 and 30 April 2019. For information on roadworks on roads managed by the Department of Planning, Transport and Infrastructure (DPTI), please access the DPTI website via the link below. When should I apply for a road closure? Planning an event or special occasion? If you're planning on having a party on and adjacent to Council roads you will need to submit a request for a temporary road closure. A minimum of 3 months’ notice is required to enable Council to provide certification and approval. This process is for temporary road closures for special events only; it excludes permanent road closures, closures implemented for emergencies and closures for road works. 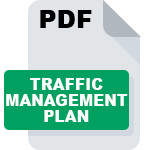 You will be responsible for any costs incurred from advertising the road closure, signage, third-party liaisons and so on. You will be notified by email or phone when your approval has been given. Planned road closures are published here once approved by Council. Click on a heading below to see further detail on individual projects, including start and finish dates.